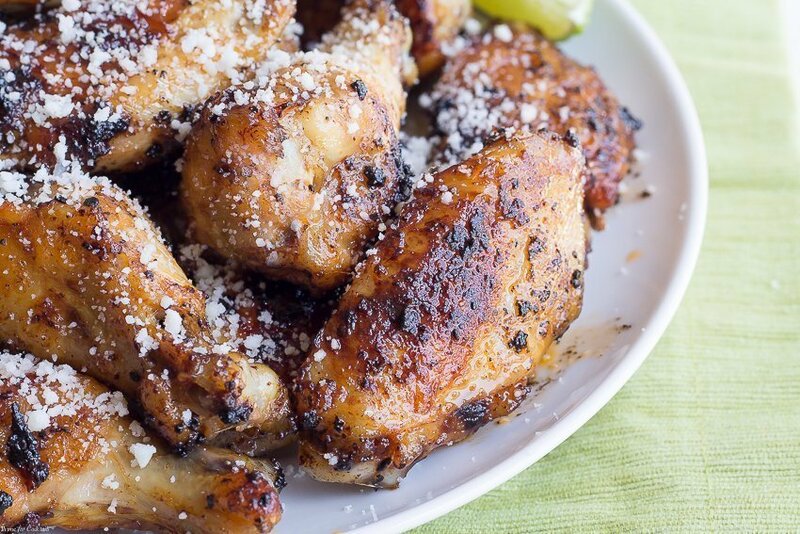 Get the most from your weekend eats by making these Chipotle Cotija Chicken Wings. 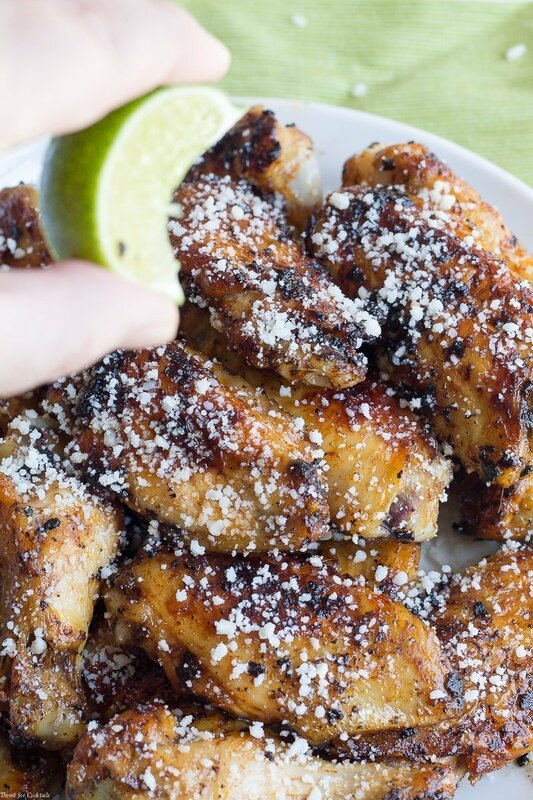 Friends and family will be begging you for this simple, Cinco de Mayo wing recipe. It is safe to say that Paul and I are not only settling into life in Columbus, we are a bit overwhelmed with all the socializing. The last few weekends have been full of blogger events, spending quality time with friends, and eating the most amazing food! I haven’t shared as many new recipes with you folks because we have been so busy. It makes me feel out of my element to be away from the kitchen so long. 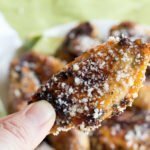 In order to fix that, I have several new recipes, like these Chipotle Cotija Chicken Wings, to share. Please just be patient with me as I find balance in this new life. Back to these wings, this was originally a slow cooker recipe, but I couldn’t get the chipotle part quite right. Baking the wings first, and then pan frying them in a chipotle sauce was the perfect solution. It just clings to the meat, creating an excellent atmosphere for the cotija cheese to hang out in. Cotija is pretty similar to parmesan cheese, which is a great substitute in this recipe. 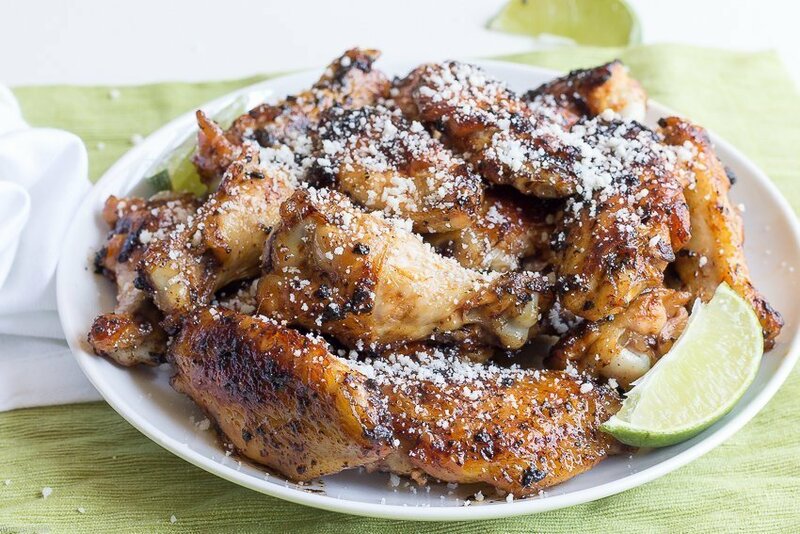 The great thing about this Chipotle Cotija Chicken Wings is you can prepare the wings in different ways, and get similar results. 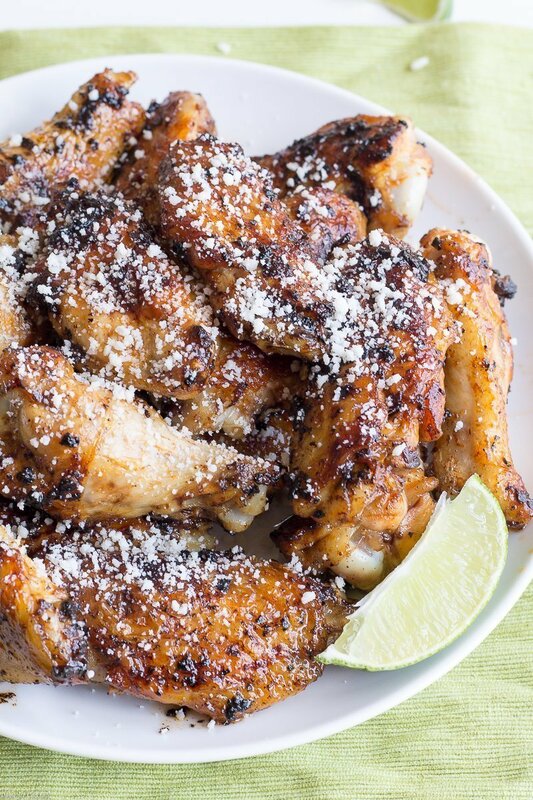 If you like a nice grilled wing, with char marks and everything, you could do that instead. Or even make them in the slow cooker, and finish them off on the grill or stovetop. That would be my recommendation if you are cooking for a large crowd. The wings are cooked, then you can just prepare them to order after that. 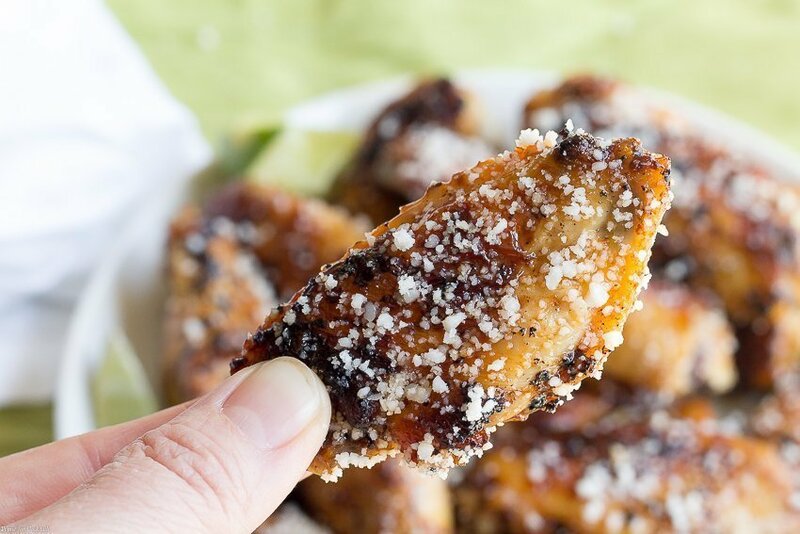 What is your favorite way to prepare chicken wings? Prepare chicken according to package directions. Let rest 5 minutes. Add garlic, chipotle peppers, and tomato paste. Cook 3-4 minutes, stirring frequently. Stir in mustard and honey, cook 1 minute. Add cooked chicken to skillet, toss wings to coat. Cook 2-3 minutes on each side until crispy. Plate wings, pour excess sauce over chicken if desired. Sprinkle with cheese. Serve immediately with limes wedges. Optional method - If grilling the wings, prepare sauce but substitute chicken stock for the oil. Simmer 5-7 minutes, then brush on wings during last few minutes of cooking. Garnish with cheese and limes.